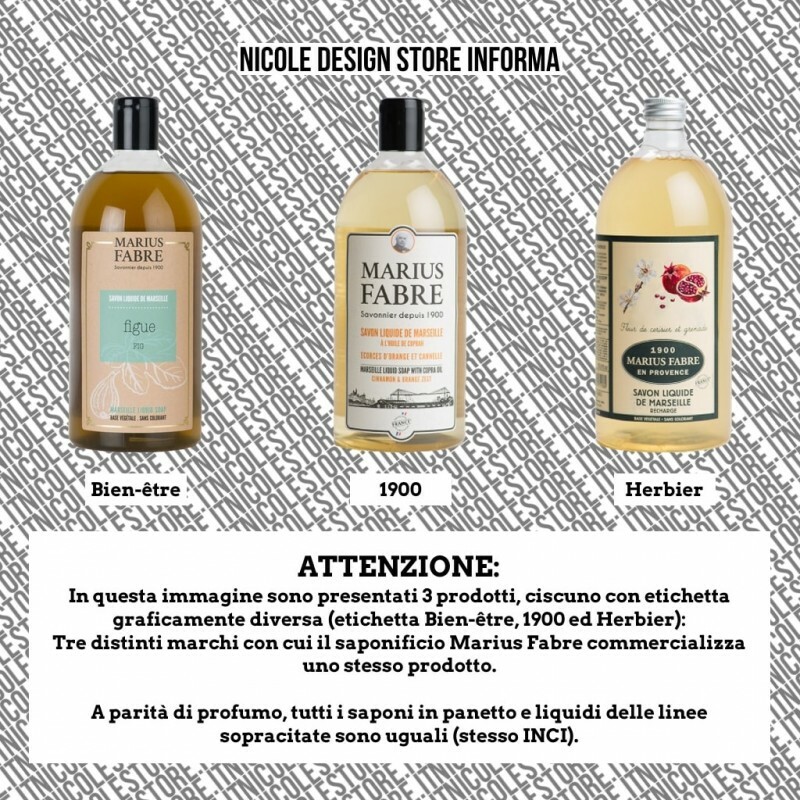 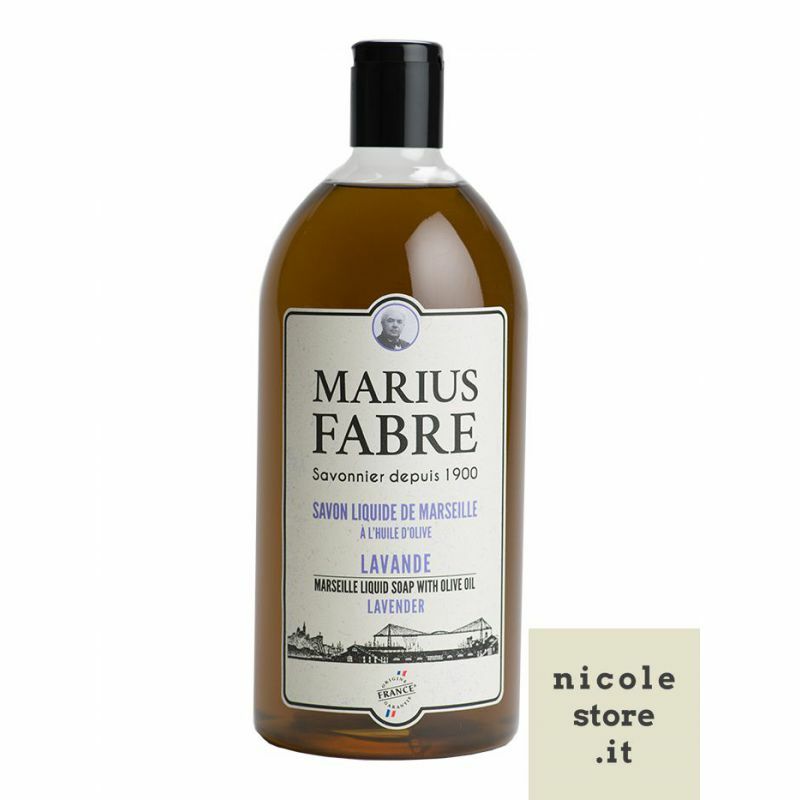 Made with olive oil, known for its nourishing, and coconut oil, valued for its foaming properties, our scented liquid soap , in the traditional method of Marseille. 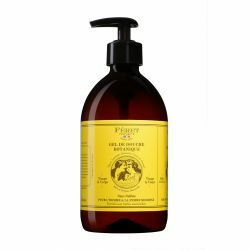 Very gentle on the skin, can be used daily to wash their hands and for washing the body and face. 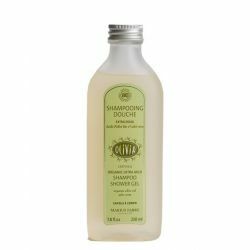 Environmentally friendly and inexpensive. 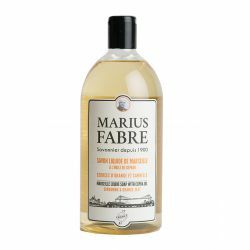 By buying this product you can collect up to 13 loyalty points. 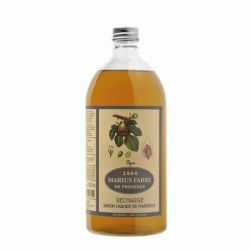 Your cart will total 13 points that can be converted into a voucher of 0,39 €. Aqua, Potassium Cocoate, Potassium Olivate, Glycerin, Parfum, Hydroxyethylcellulose, Decilglucoside, Polyglyceryl-3 caprylate,Cocos Nucifera oil, Potassium benzoate, Potassium sorbate, Tocopherol, Olea europaea oil, Limonene, Hexyl cinnamal, Citronellol, Hydroxycitronellal, Isoeugenol, Butylphenyl Methylpropional, Linalool, Benzyl Salicylate. 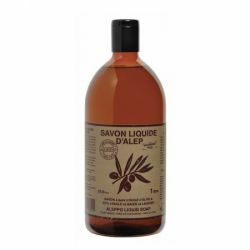 Made with olive oil, known for its nourishing, and coconut oil, valued for its foaming properties, our liquid soap scented with figs in a cauldron, in the traditional method of Marseille. Very gentle on the skin, can be used daily to wash their hands and for washing the body and face. 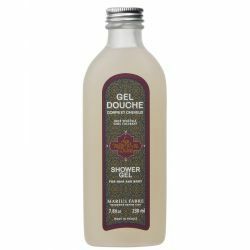 Environmentally friendly and inexpensive. 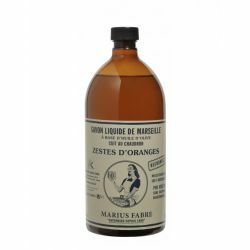 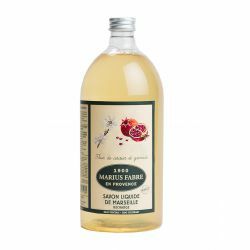 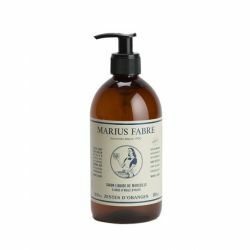 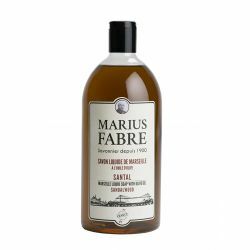 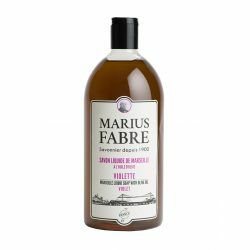 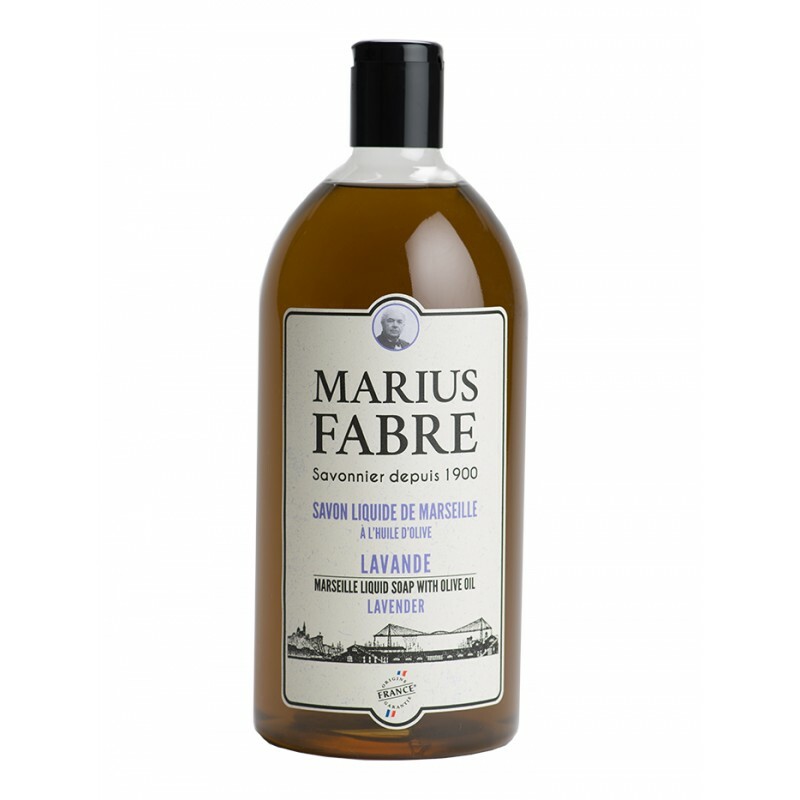 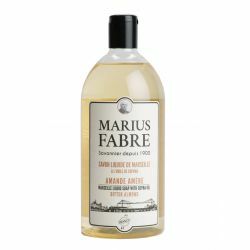 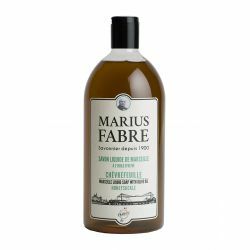 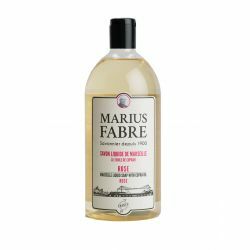 The liquid soap of our range "Marius Fabre Nature" is cooked in a cauldron, in the traditional Marseille method. 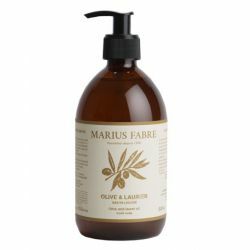 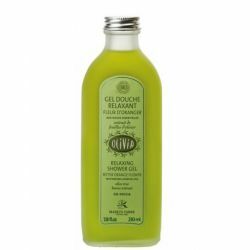 Made base ofolive oil, known for its nourishing and scented with 100% natural essential oils, it is very gentle on the skin. 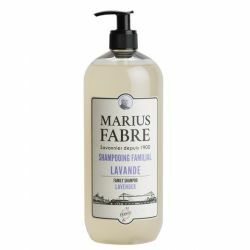 Its fragrance is "thyme and dill" A genuine bath of softness to use without moderation for hands, face and body. 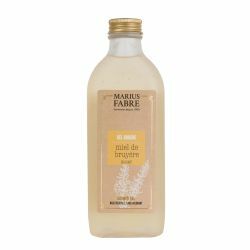 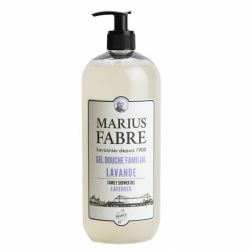 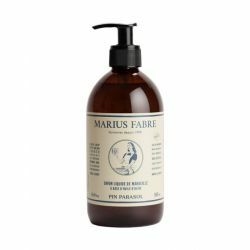 Formulated from a base of completely vegetable ingredients, the new Lavender Shower Gel for hair and body of the Marius Fabre soap factory is the ideal product for frequent use on all types of skin and all types of hair. 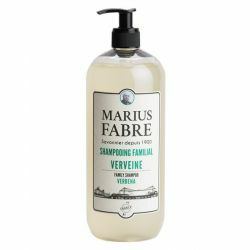 Formulated from a base of completely vegetable ingredients, the new Verbena Shower Gel for hair and body of the Marius Fabre soap factory is the ideal product for frequent use on all types of skin and all types of hair. 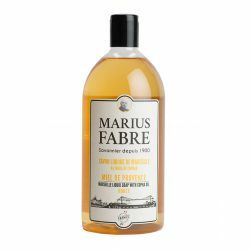 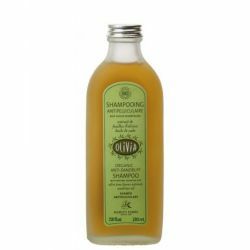 Formulated from a base of completely vegetable ingredients, the new Honey Shower Gel for hair and body of the Marius Fabre soap factory is the ideal product for frequent use on all types of skin and all types of hair.